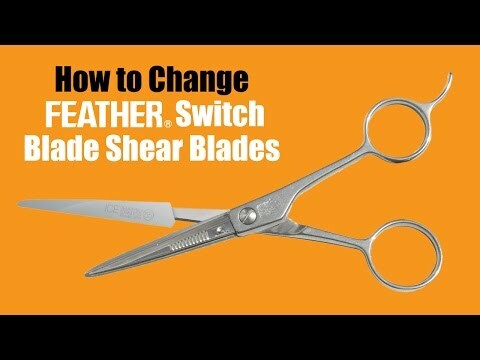 The Feather Switch blade Shears saves you time and money by simply replacing the blades, not the shear itself. No sharpening required. No tools necessary and the new blades are razor sharp and ready to cut. It is perfect for all stylists looking for a practical and long lasting shears. It is great for stylists and barbers who like to cut fast. Feather Safety Razor Co. Ltd., of Osaka, Japan, has been the leader in high quality shaving razor and surgical instrument development and manufacturing since its inception in 1932. With their main razor blade manufacturing facility located in the world famous “City of Cutlery,” Seki City, in Gifu prefecture, once known as home to the most highly regarded Master Craftsmen and source of the legendary Samurai Swords, Feather Razor company is able to benefit from the long established experience and traditions of the local cutlery industry. All of the ancient arts and values learned over the centuries and passed down through the generations, have been fully incorporated into their modern product lines.